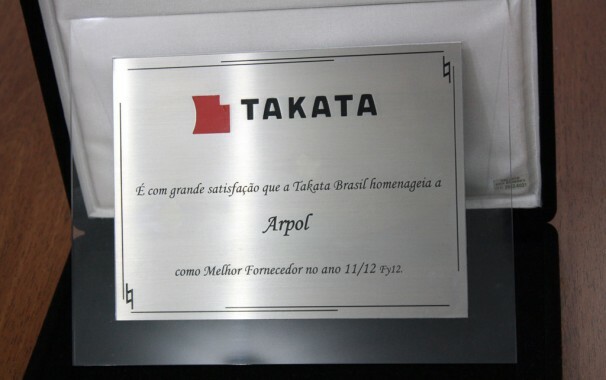 Arpol Red Spot Tintas Ltda., a joint venture between Red Spot Paint and its longtime partner in Brazil, Arpol Tintas, was presented the Supplier of the Year award for fiscal year 2012 from Takata Brazil. 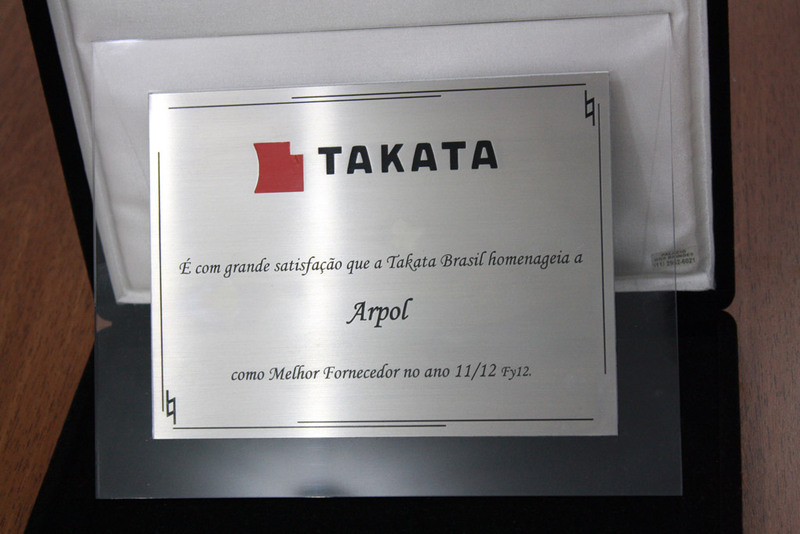 Arpol supplies Takata Brazil with thermal cure technology for interior application on Toyota, Fiat and Honda vehicles. This award recognizes Arpol’s continued efforts to become a supplier of choice in the Brazilian market. Arpol looks forward to achieving continued success by sustaining their strengths and continually working to meet and exceed market expectations. Join us in congratulating Arpol Red Spot Tintas on this outstanding achievement.